The cast runs through each scene and musical number during their first rehearsal with the band from the Music Department. Imagine stepping into a dark paneled room with candlelit tables and sitting down with your chums as the lights flash brilliantly against the stage and the curtain unfolds. 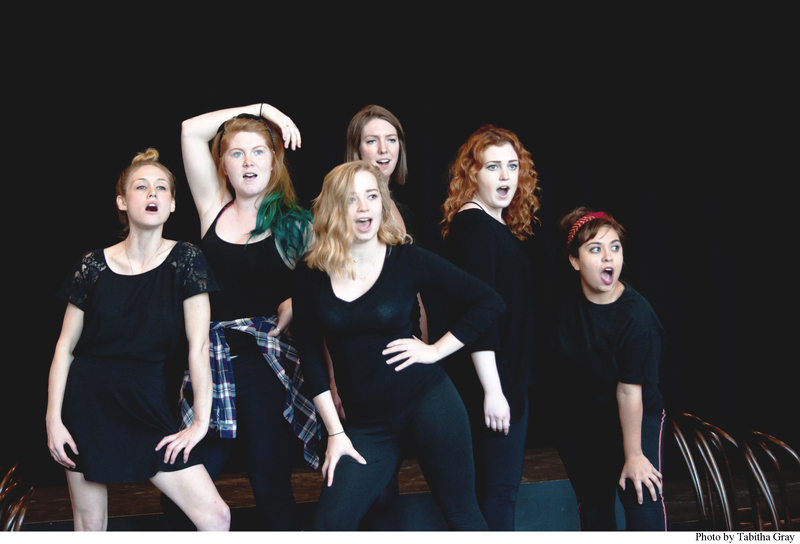 Ladies Choice: A Cabaret adapts the classic 1920s scene of entertainment into a flashy final performance hosted by the TWU Drama Department. A cabaret is entertainment consisting mainly of song and dance at a club or restaurant. 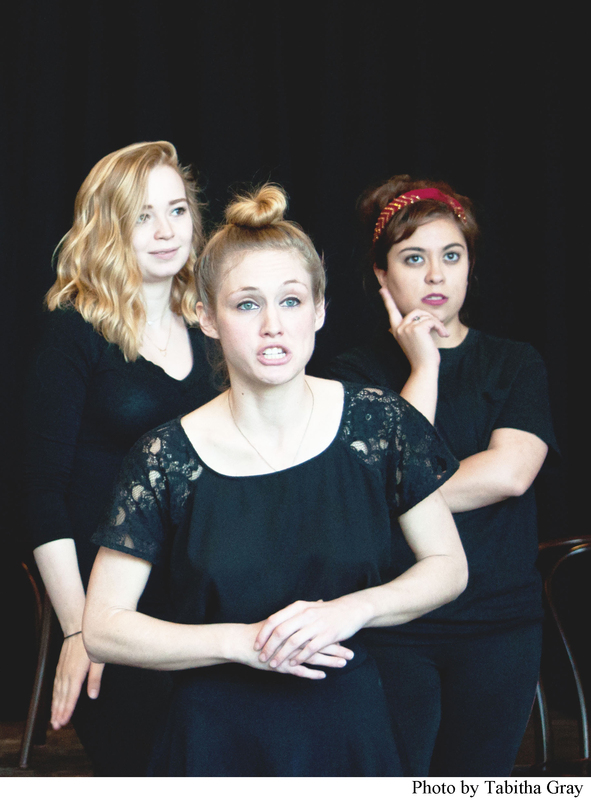 Associate Professor of Drama Steven Young and Adjunct Instructors of Music Kelley Poché-Rodriguez and Claire Binek have teamed up to make this production possible for students who have auditioned and been accepted into the Music Theatre Certification Program. The program, according to Young, was something the two departments decided to collaborate on last year. Students majoring in either music or drama can audition for the program and must take 12 hours in courses related to this certification as an “add-on” to their degree. Each year will alternate between a musical and a cabaret. From left to right: Britnee Schoville, Chelsey Lynne and Selena Marie Flores. Rodriguez and her students will play the music score for each piece. There are four students in the band and one alumni who has agreed to play the guitar for this show. Rodriguez herself will play the piano and direct the band simultaneously. Binek has worked with the cast on their vocal performance during rehearsals. For Sophomore Drama major Britnee Schoville this is her first experience with music theatre: “I think it’s a really good step. It’s not like just jumping into a musical; you get a little bit of musical theatre experience first.” She’s also found it valuable to work with students who are more advanced: “I like working with people who have a lot of experience… I feel like I’m learning so much from other people…” Schoville isn’t alone however, as some audience members may be enjoying their first taste of a cabaret, too. Be sure to arrive early- seating is limited!